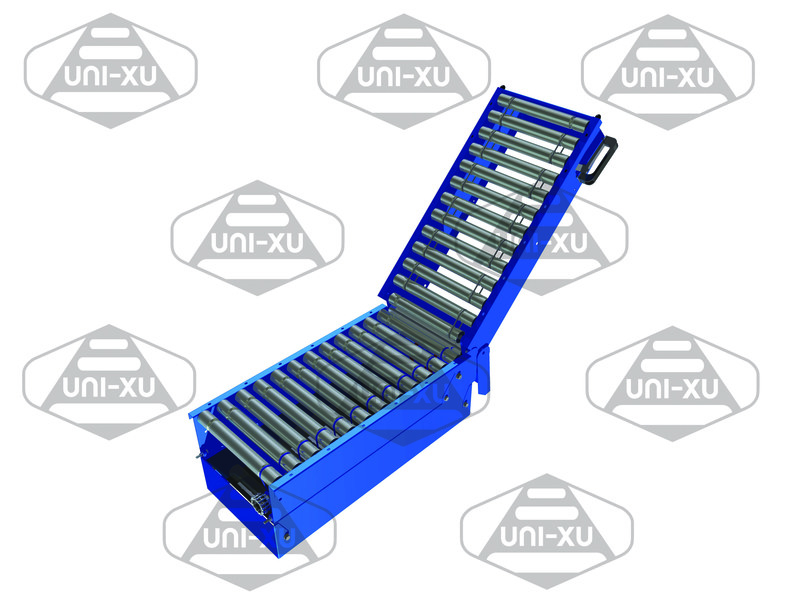 The most versatile and economical conveyor available in material handling. Transportation and Accumulation from one system allowing optimized productivity. 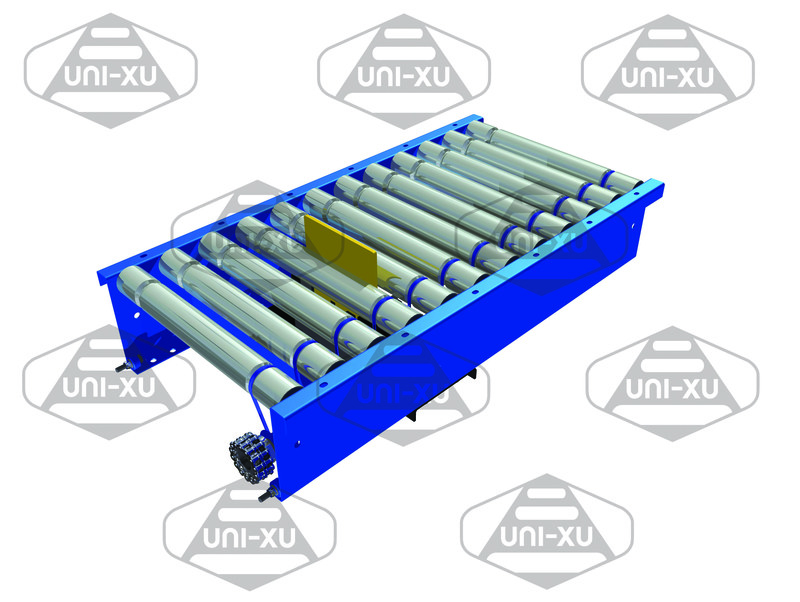 » Powered roller conveyors are the most versatile and cost effective solution available in material handling. Powered rollers can be implemented in to all types of different applications throughout industry. 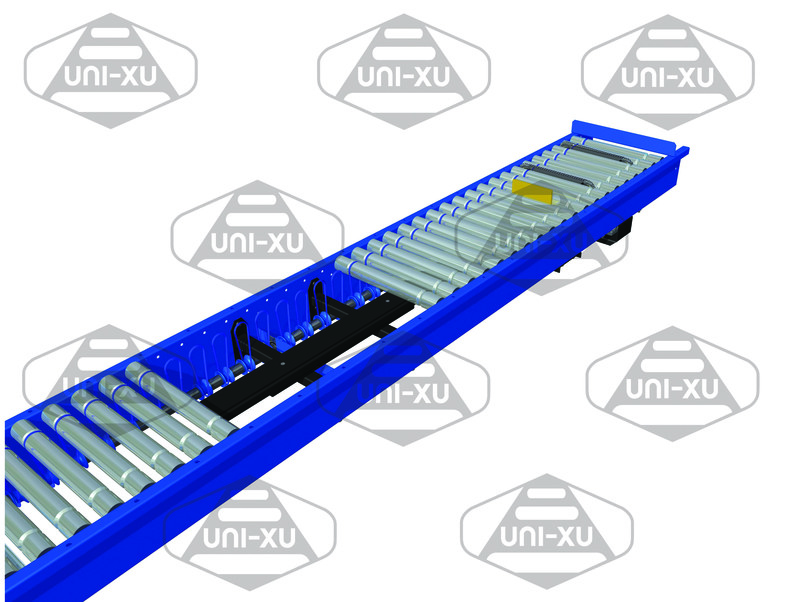 Line shaft conveyor systems are most common placed in box or tote conveyor handling systems and are a great way to stream line and automate a number of operations. 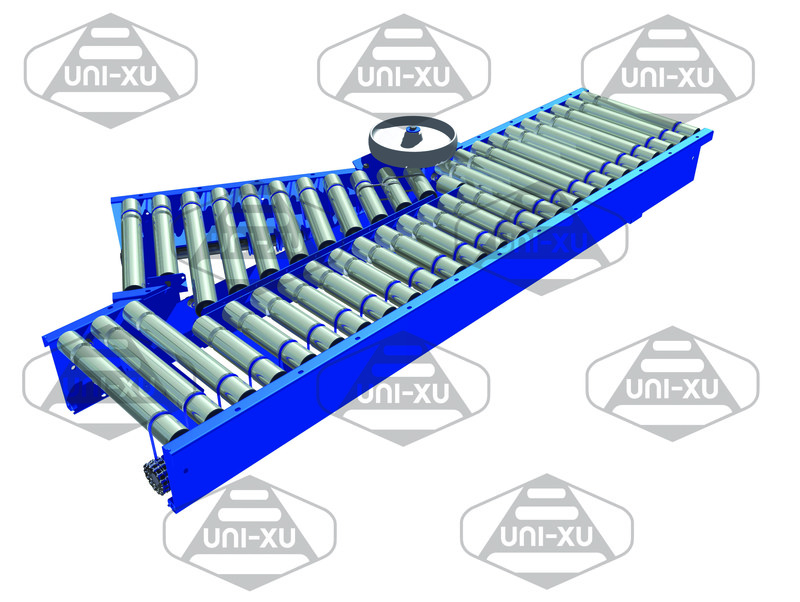 » A powered roller track works by using a number of set grooved rollers, determined by box/tote size and weight. 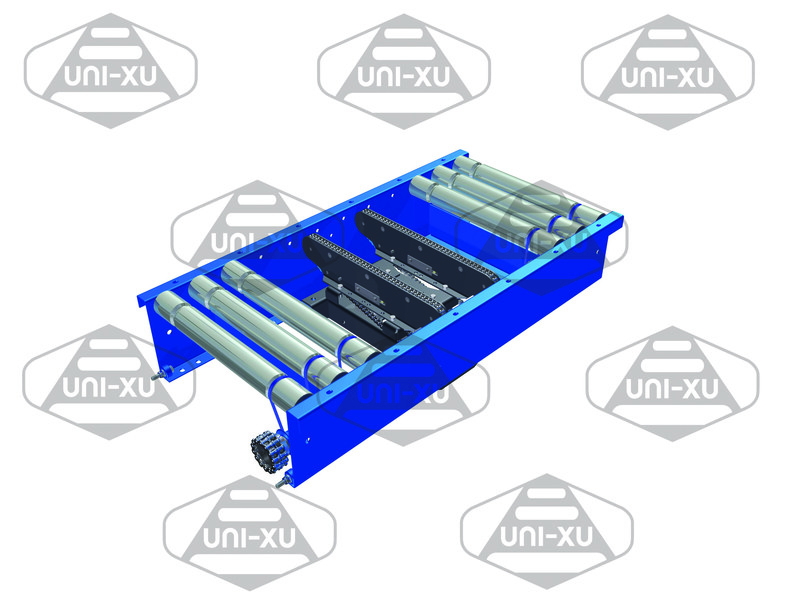 These grooved conveyor rollers are then set into a steel pressed and folded side frame, which is then braced for support. A straight mechanical line shaft is set to one side within this frame, mounted with in the cross braces using a number of bearings. 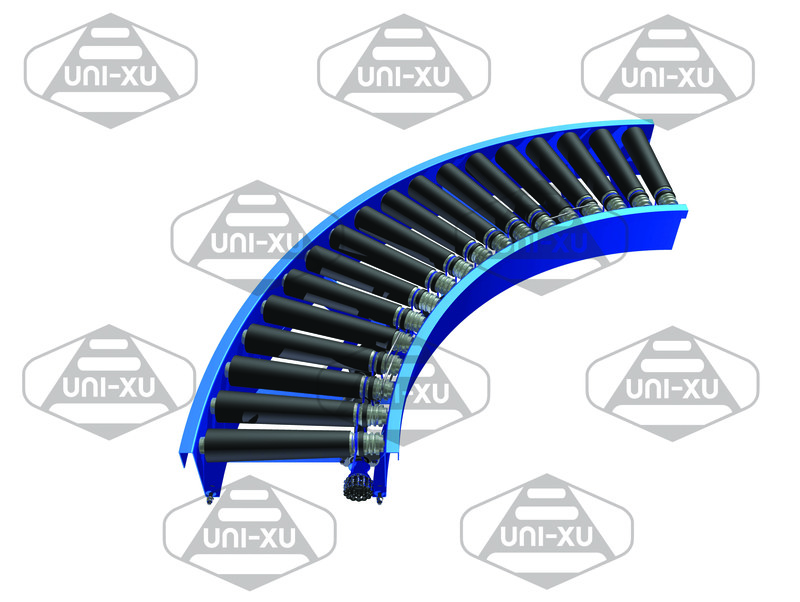 The Line shaft itself is made from a solid steel bar, which runs the length of the conveyor section. This line shaft incorporates a number of drive spools and line shaft spacer’s dependent on the pitch of the rollers. These drive spools are then linked to the parallel grooved conveyor roller using a polyurethane drive belt. Once the line shaft turns, the friction from the line shaft turns the drive spools, which in turn pushes the grooved conveyor roller. 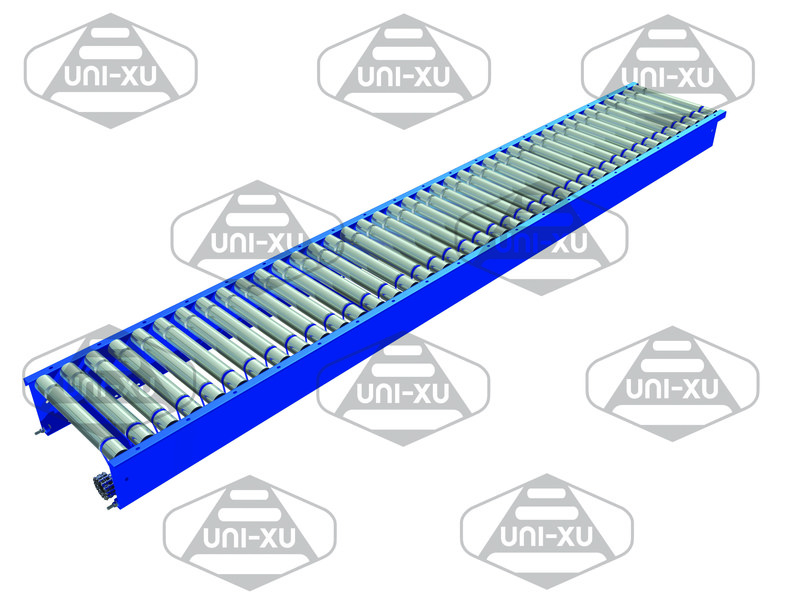 » Sections of powered conveyor rollers (typically 3000mm lengths) are joined section by section using a coupling sprocket and chain. These sections would link back to back, being driven from a single drive, which would be located centrally within the conveyor run being created. 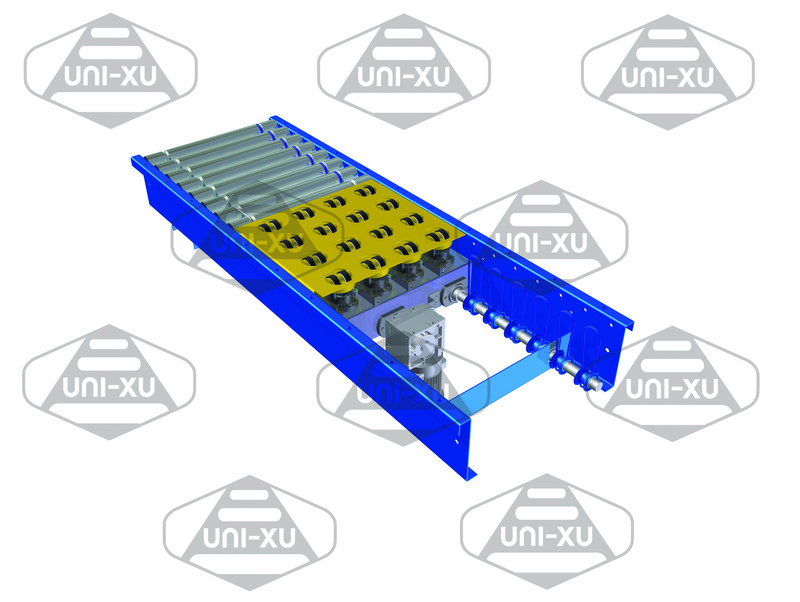 » Fewer drive are required in this type of conveyor system, when compared to conventional methods of conveyor systems, this is down to the versatility of the modular design. 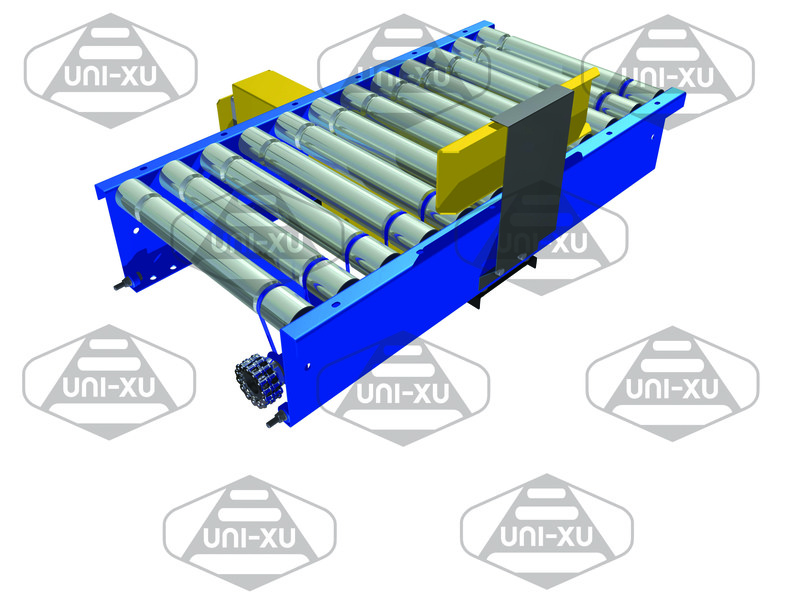 This is one of the key benefits of a powered line shaft conveyor roller system, when taking in to account the number of ancillary modals, which can be driven from one drive (as shown above).